Full grain leather uppers with textural laser cut outs create a fashion forward detail. 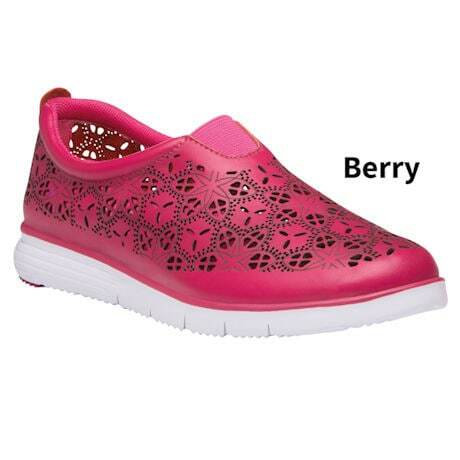 Removable cushioned insoles, lightweight outsole for improved traction. 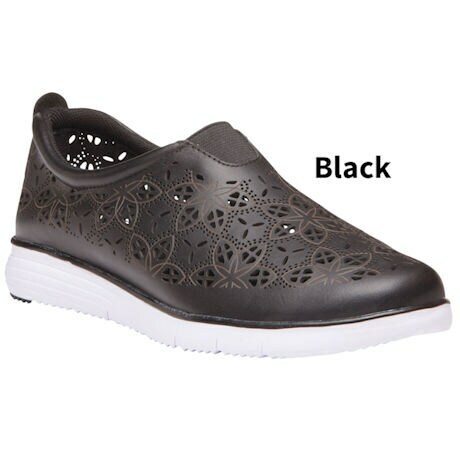 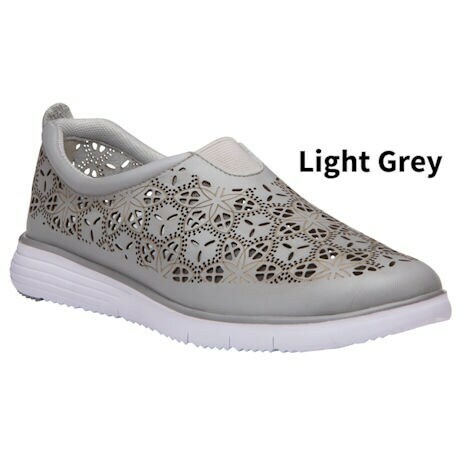 Padded around the collar for even more walking comfort.